Rhode Island Tire Sales and Service by Pete’s Tire Barns. 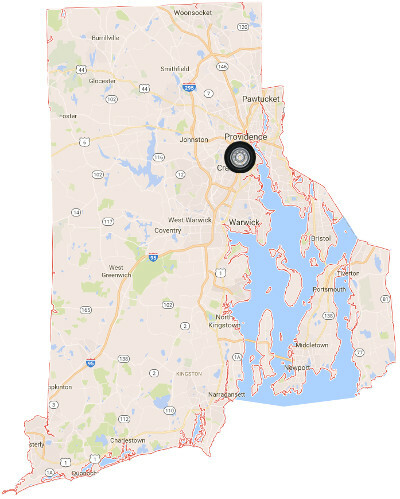 We are proud to operate these convenient locations throughout the state of Rhode Island. Pete’s Tire Barns provides tires and tire related services throughout the state of Rhode Island. Pete’s Tire Barns in Rhode Island carries ATV Tires, Lawn & Turf Tires, Commercial Truck Tires, Passenger Car Tires, Farm Tires, Forklift Tires, Forestry Tires, Skid steer Tires and More. In addition to our huge selection of tires, Pete’s Tire Barns has a fleet of tire service trucks capable of changing all types of tires. We maintain a industrial tire truck dedicated to servicing industrial and forklift tires including solid tires and press on band tires. Our OTR tire service trucks are capable of handling all types and sizes of off the road and earth-mover tire. With a network of nineteen tire sales and service centers, two Bandag retreading facilities and a warehouse housing over 18 million dollars in inventory, Pete’s Tire Barns has the tires, tools and experience to handle all of your tire needs. If you are looking for tires in Rhode Island then Pete’s Tire Barns is your only stop for tires and tire service.